Nature went into overdrive when it worked its magic in Washington. 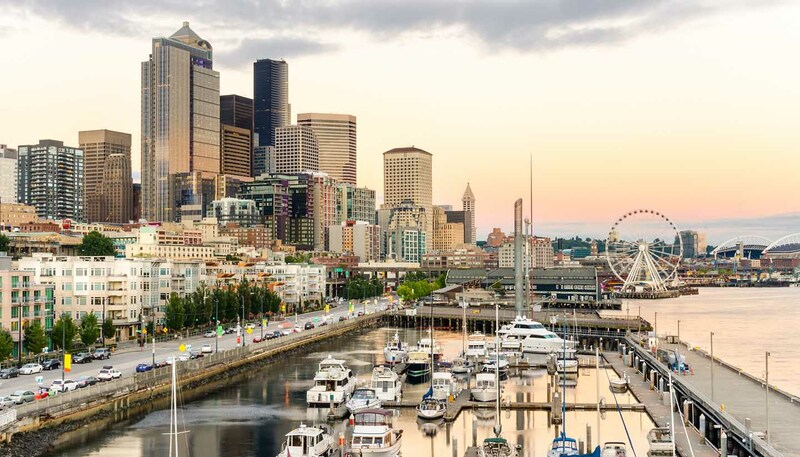 Wild beaches, verdant rainforests, snow-sprinkled volcanoes, bijous island retreats and the continent’s deepest river gorge all collide in the ‘Evergreen State’. Sure, it rains a lot, but whoever let a bit of precipitation get in the way of adventure? And there’s plenty of adventure to be found. Hike in Alpine meadows, trek through moss-covered forests and skip over driftwood on the Olympic Peninsula’s storm-pounded beaches. Climb a volcano at Mt Rainier or ski down one at Mt Baker. Kayak with orcas in the San Juan Islands, set sail at sunset in Puget Sound, go windsurfing on the Columbia River or hold onto your hat jetboating into Hells Canyon. 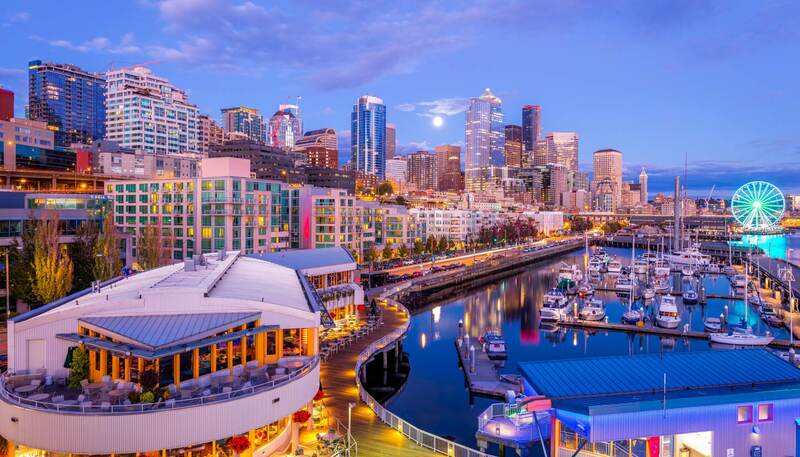 For all its epic scenery though, the state’s star attraction is Seattle. The birthplace of grunge, the city is a laidback hub of creativity that entices travellers with its legendary live music scene, hip neighbourhoods and eclectic attractions. Learn guitar in a Frank Gehry-designed museum, shop for Scandi chic in historic Ballard, or figure out the password to drink cocktails in a speakeasy. South of Seattle, cross the fabulous Chihuly Bridge of Glass, a kaleidoscopic pedestrian overpass connecting the Museum of Glass to downtown Tacoma. If big-city thrills don’t do it for you, how about a Bavarian hamlet? Tucked into the Cascade Mountains, little Leavenworth risked losing everything when the local sawmill closed and the railroad was rerouted. So the good townsfolk decided to rebrand their village, and the result is a strangely compelling blend of Bavarian architecture, lederhosen-clad residents and Wienerschnitzel. Wash down your supper with a hoppy pale ale or a glass of Merlot – produced right here in Washington, of course. 182,941 sq km (70,634 sq miles).